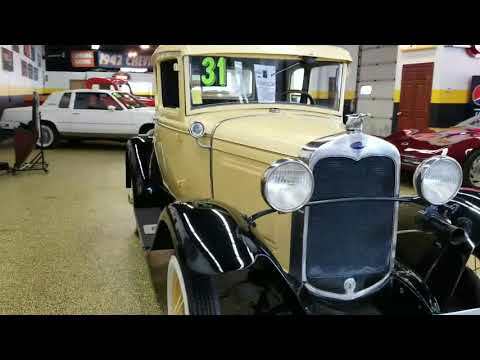 1931 Ford Model A Coupe with Rumble Seat! Runs great! TRADES? Looking for a running and driving Model A? Here is one that just came in on a trade to us. It's a driver quality Model A that has had juice brakes added for better braking ability. The interior on this car has been redone and has vinyl seating surfaces in the cab as well as the rumble seat area. The running boards/fenders are all steel and this car, many of the others you see out there are fiberglass replacement ones. The paint is not perfect but very presentable. The engine runs well, transmission shifts smooth on this one, all it needs is a new home where it can be driven and enjoyed, Whether you're looking for an antique car to take to a local cruise in, drive in a parade, or just take the kids for a ride in the rumble seat give us a call. Jeff, Jay or Landon 507-386-1726 or email "sales@unqiuemankato.com" ALL TRADES AND OFFERS WILL BE CONSIDERED....FINANCING IS AVAILABLE!